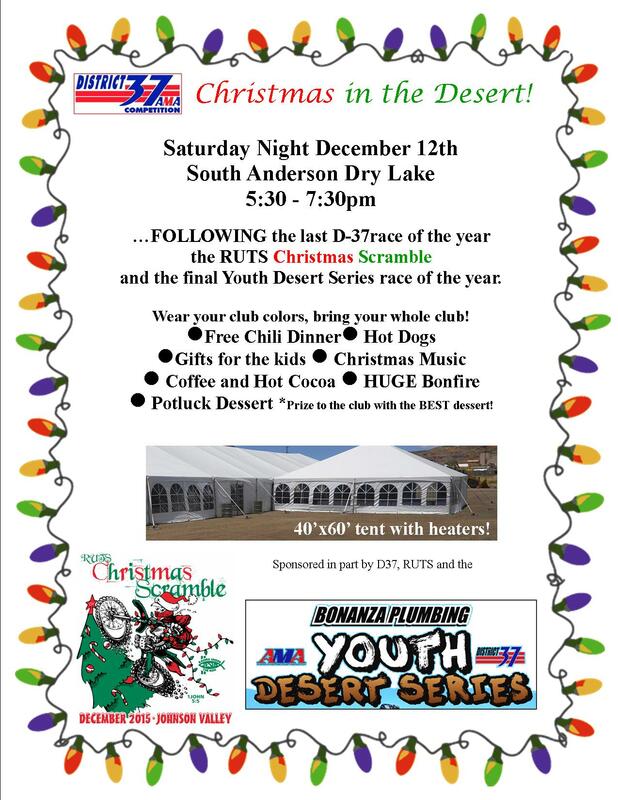 Join us on Saturday December 12th at South Anderson Dry Lake for a day of Youth Racing, a FUN Desert Scramble and an evening D37 Christmas Party, hosted in part by the Bonanza Plumbing Youth Race Series. Stick around for Sunday Morning Church in the dessert and a family ride to Soggy Dry Lake. We have rented a 40′ x 60′ tent for the Christmas Party and it wont look right without LOTS of club colors to compliment the Christmas Lights and Christmas Tree. The bon-fires will keep you warm while you hang out and eat free food, while bench racing the 2015 season with your competitors over dessert. We are working hard to throw a great Christmas party, it will be as good or better then any Meltdown Bash we have thrown over the past 25 years, actually it will be even COOLER then our Meltdown BBQ (really, it will be cooler, about 40 degrees cooler!) 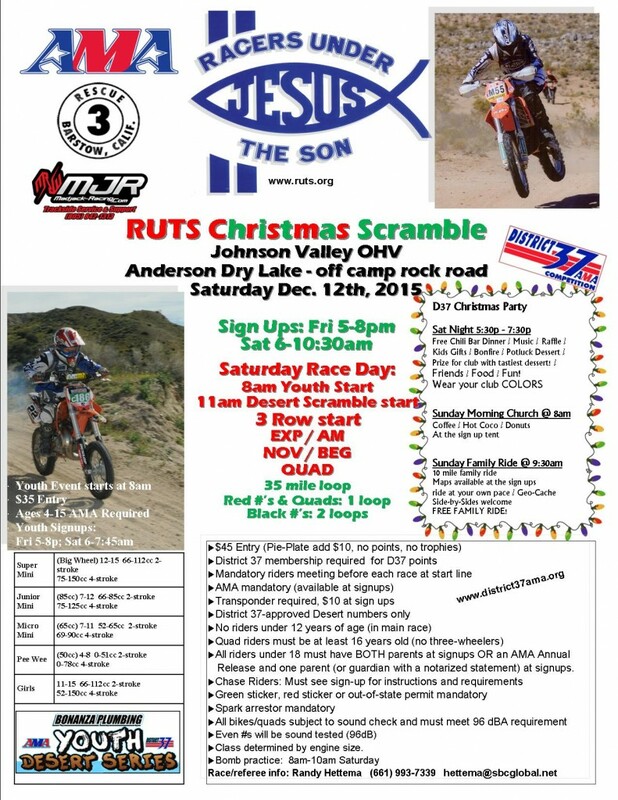 Come hang with RUTS, bring the whole family, bring your whole CLUB and lets end the 2015 year racing in the Dez with a bang!